Paul was born in Japan, the son of a Japanese military leader. 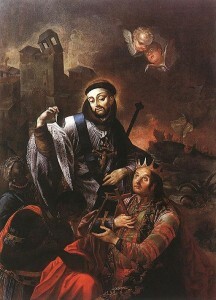 He joined the Jesuits in 1580 and became known as a famous preacher. Nine years before his martyrdom, the Japanese emperor had ordered all Christians out of Japan. He feared that Paul Miki and his companions (two Jesuit priests; six Franciscan priests; and 17 lay people including catechists, a doctor, a cook, a carpenter, a translator, and three altar boys) would take over the country. Paul and his friends remained to continue God’s work. Soon thereafter they were arrested and sentenced to death in December of 1596. Paul and his companions were tortured and forced to march 600 miles to a hill in Nagasaki, Japan where they were going to be executed. During their journey, Paul and his companions kept their faith and courage by praying and singing together. People came out of their homes to see the prisoners as they marched by and witnessed their courageous faith. Their example inspired many Japanese citizens. Nearly 300 years later, missionaries returned to Japan. They saw no sign of the Christian faith when they began their work. However, they quickly learned that many people had kept the Catholic faith alive in secret over the years. 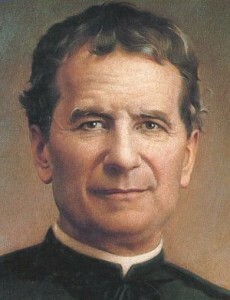 The Church honors Paul Miki and his companions as saints, canonized in 1862. Their example helps us to remember that making God part of our lives is the only way to true happiness.